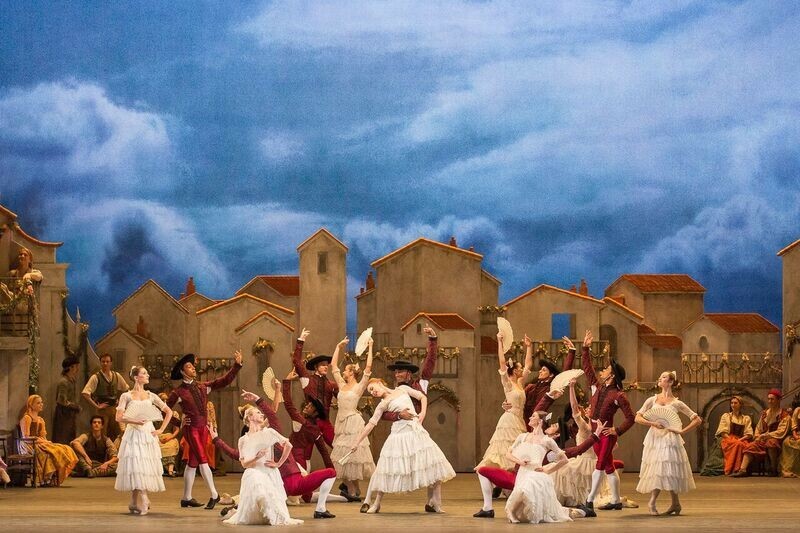 Love and friendship triumph in Carlos Acosta's vibrant production of this dazzling ballet. Don Quixote and his servant Sancho Panza set out to have a chivalrous adventure. They meet Kitri and Basilio, a young couple who cannot marry because Kitri's father is determined to marry her off to the wealthy Gamache. Don Quixote decides to intervene. Don Quixote is one of Marius Petipa's much-loved 19th-century classics - its story is drawn from Miguel de Cervantes's classic novel and set to Ludwig Minkus's score. The ballet has long been acclaimed for its virtuoso dancing, beautiful and technically demanding 'vision scene' and the famously bravura and breath-taking Act III pas de deux. Carlos Acosta's production was created for The Royal Ballet in 2013, and brings the sunshine of Spain and the exuberance of the entire Company to the stage. Acosta created new choreography for the gypsy scene in Act II, and uniquely for this production of Don Quixote added on-stage musicians. Warmth, charm and entertainment abound in this energetic and witty ballet, reflected too in the characterful backdrops of Tim Hatley's vibrant designs.